Since 1992, Worldwide Ticketing has provided over 4000 tickets to individuals and groups for the Bayreuth Wagner Festival in Germany. Our company is supported by the German Tourist Bureau and we have hundreds of letters from clients that have had a unforgettable time in Bayreuth. If you’re only looking for individual opera packages, please contact us to discuss options available. Accommodation at the H4 Hotel Residenzschloss 4 Star Hotel (based on twin share) for 7 nights with an upgrade to a suite, at an additional cost, if required. Tour of Villa Wahnfried – museum and monument to Wagner which is all new! In Bayreuth we have reserved accommodation at the H4 Hotel Residenzschloss, a Delux First class hotel offering it’s guests international charm and character. Modern amenities such as cable television, restaurant and Cafe, outdoor summer grand terrace, 24 hour concierge service, combined with a pleasant atmosphere, ensure that your stay will be relaxing and enjoyable. Tour members will also have the opportunity to upgrade their accommodation to a suite if required. The Hotel’s conference facilities are ideally suited for our seven pre-opera lectures. Prior to each performance our lecturer will present an introduction to the opera which will enhance our tour participant’s appreciation of Wagner’s works. In addition, our tour package includes an escorted tour of the Festspeilhaus and a visit to Villa Wahnfried – the residence of Richard Wagner from 1874 until his death – and now converted into the Richard Wagner Museum with national archives which has only just re – opened. As a result of the district reform on 1 st July 1994, the Wartburg city Eisenach grew dramatically with the addition of new districts. 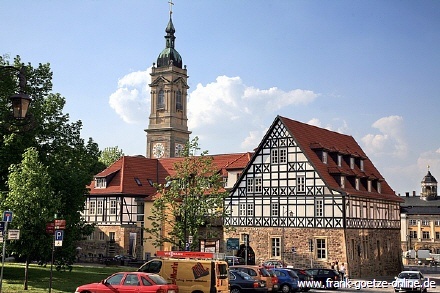 As a “city in county jurisdiction”, Eisenach is the fourth largest city in the middle of Thuringia and has become a center for production, services and educational facilities. The international recognition of Eisenach comes from the Wartburg Castle , the works of Landgrave Elizabeth of Thuringia, music of Johann Sebastian Bach, Martin Luther’s translation of the New Testament and the auto industry. Rich in monuments and memorials to its humanistic, historical and artistic tradition, the Wartburg City of Eisenach is a magnet for domestic and international tourists. Until the 1940’s Nuernberg was the best preserved medieval city in Germany , but 90% of the town was reduced to ruins during the air raids of the Second World War. The surviving buildings and the reconstruction work have contributed to at least a partial retention of Nuenberg’s unique atmosphere. 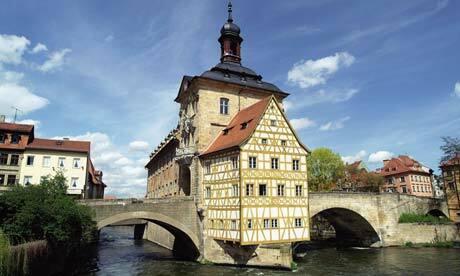 Situated in the central Franconian basin, Nurnberg is referred to as the secret capital of Bavaria . The city was founded 1000AD. It was the seat of government for the Graf Freidrich III Von Hohenzollern and his family was later to become famous for its royal alliances. Visit the Cathedral, the Old City and Little Venice. If time permits, you will also visit the Vierzehnheiligen (Church of the Fourteen Saints). 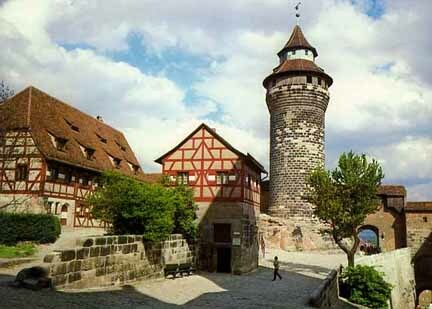 The history of Bamberg dates back to the the 7th Century when Slavs and Franks lived peacefully together in a large fortress, Babenberger, after whom the town was named. Depart for an Excursion to Marianske Lazne (Marienbad), Tepla and Karlovy Vary (Karlsbad) through the beautiful Tepla Valley and fields of maize and wheat. We will visit the Colonnades, the fountains in Marienbad, the Church and State Library in the Cloisters of Tepla and then onto Karlovy Vary for a city walk and a visit to the Russian Orthodox Church. 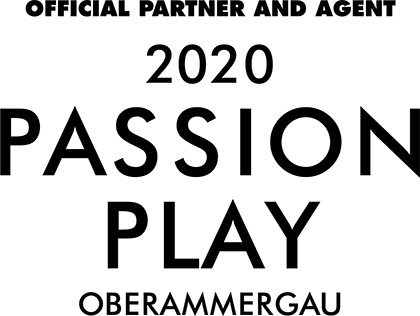 We are pleased to advise that we can offer preliminary details on the 2020 Ring Cycle Tour. Our office always attends Cycle II as we have done since the early 90’s. The reason we always attend Cycle II is the first Cycle is always for the VIP’s and Media and the second Cycle we are always sure to have excellent seats for our clients. Specific dates for the 2020 Bayreuth Ring Cycle are not made available until August 1919, but the 2nd Cycle always commences between 4 and 9th August so it is important to keep these dates free. With the deposit of AUD$700.00 per person your booking is locked into the above price of the 2020 Ring Cycle Tour and you will not be effected by any increase in the tour price. No further payment will be required until Tuesday 1st September 2019, when the remaining deposit of AUD$1,800.00 per person will be required to form the normal AUD$2,500.00 per person deposit required for all bookings one year out before the performance and we will have all the actual dates of the performances for August 2020. Then commencing in January 2020 through to June 2020 , all remaining payments will be broken up over a 6 month payment plan which we find assists all our clients. In Bayreuth we have reserved accommodation at the H4 Hotel Residenzschloss, a Deluxe First class hotel offering it’s guests international charm and character. Modern amenities such as cable television, restaurant and Cafe, outdoor summer grand terrace, 24 hour concierge service, combined with a pleasant atmosphere, ensure that your stay will be relaxing and enjoyable. Tour members will also have the opportunity to upgrade their accommodation to a suite if required. The Hotel’s conference facilities are ideally suited for our seven pre-opera lectures. Prior to each performance our lecturer will present an introduction to the opera which will enhance our tour participant’s appreciation of Wagner’s works. In addition, our tour package includes an escorted tour of the Festspeilhaus and a visit to Villa Wahnfried – the residence of Richard Wagner from 1874 until his death – and now converted into the Richard Wagner Museum with national archives which has only just re-opened.